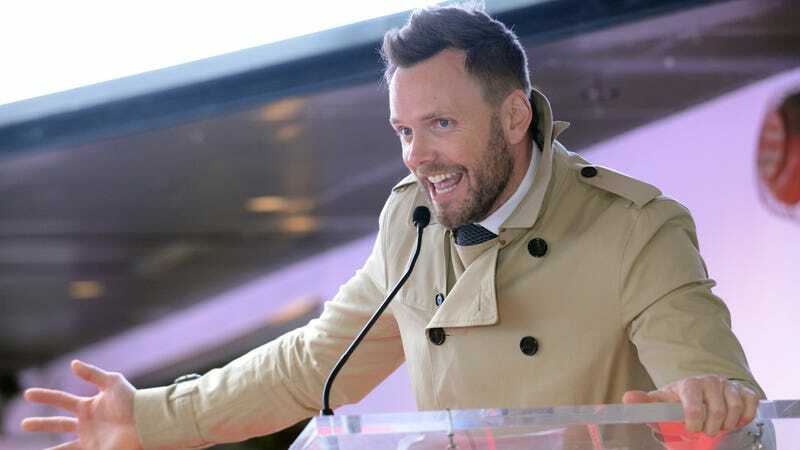 For more than ten years, Joel McHale was host of The Soup, the E! channel recap program that provided snarky commentary on pop culture and TV from the previous week. All through Community and film roles, McHale kept his day job until its 2015 finale. Apparently, he misses it. Not that he’s going back to The Soup! No, Joel McHale has an all-new show for you, according to the press release Netflix sent out today. The Joel McHale Show With Joel McHale is a weekly topical series, one that “takes a sharp, absurdist look at pop culture and news from across the globe.” The show will purportedly be a “fast and funny distillation of everything people are talking about that week,” but in a completely different way than he did before. The program is set to showcase “celebrity guests, comedy sketches, and insane video clips from the worldwide realms of TV, sports, politics, celebrity culture, and every corner of the internet,” which is very much a thing that has nothing to do with that previous show. (This is probably also something the makers of Tosh.0 say to themselves in the mirror every morning.) The show is set to launch February 18 on the streaming service, at which point everyone can see that it is, indeed, a wholly separate show from that last one. Honestly, McHale has always excelled at this kind of thing, so returning him to his home turf of delivering funny-with-just-a-hint-of-condescension zingers is welcome news. Plus, we’re almost out of episodes of Comedians In Cars Getting Coffee, so we’re ready for a new Netflix show that only requires 20-minute intervals of attention and delivers reliable laughs.